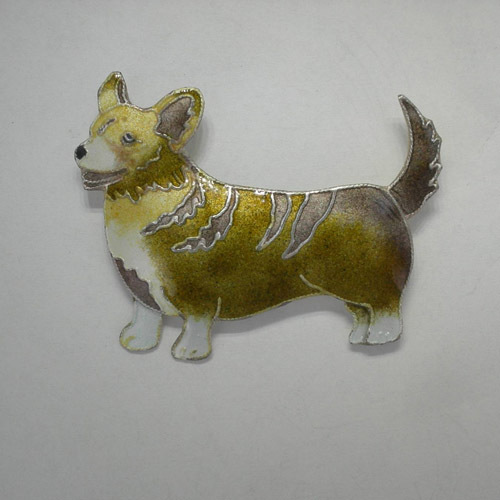 Desc: Sterling Silver enamel Welsh Corgi pin/pendant. The pin/pendant has vibrant brown, golden yellow, black, white and pink enamel. The Welsh Corgi is standing with an unaltered tail wagging. The pin/pendant has a bright polish finish.